Every month we spend an evening scouring the pages of the latest issue of Previews and pick the titles we are looking forward to the most. This month it's the January issue which includes comics scheduled to ship in March 2018. Kenny J: As he takes away a thirteen year run on Invincible with one hand, Robert Kirkman gives with his other hand in the form of a new longform comic tale, Oblivion Song. After an unknown multi-dimensional disaster destroys Philadelphia, a single man returns to ground zero again and again. 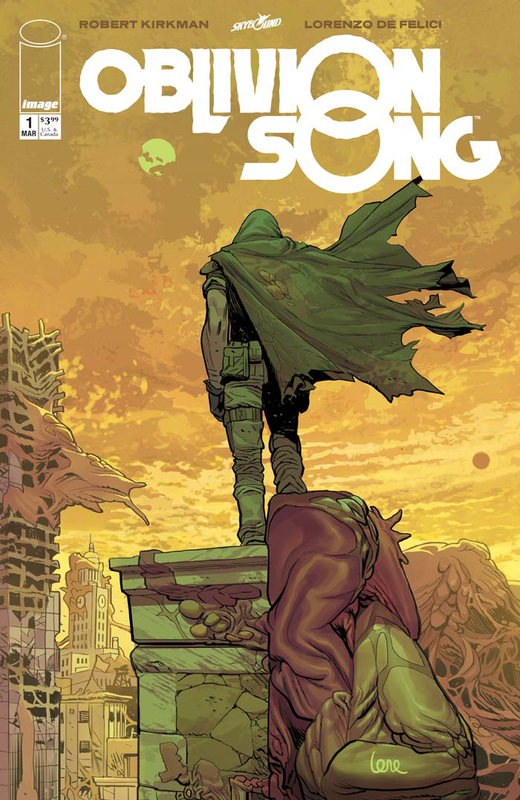 Kirkman has experience in delivering bleak, shock-filled stories over many years, but where The Walking Dead is grounded in the real world, albeit infested with zombies, Oblivion Song will feature otherworldly monsters and desolate cityscapes, a fact that can be seen in the preview pages of Lorenzo De Felici’s beautiful art. I will always check out a new Kirkman book but this one has me particularly excited with its promise of a new epic saga written by one of my favourite creators. James R: In an interview with Multiversity Comics, Jeff Lemire teased that there were "four or five other Black Hammer miniseries being drawn and already written." For a Lemire fanboy like myself, that's music to my ears. The Sherlock Frankenstein series showed just how much potential there is in the Black Hammer universe, and Doctor Star looks to be another great chapter for the heroes of Spiral City. 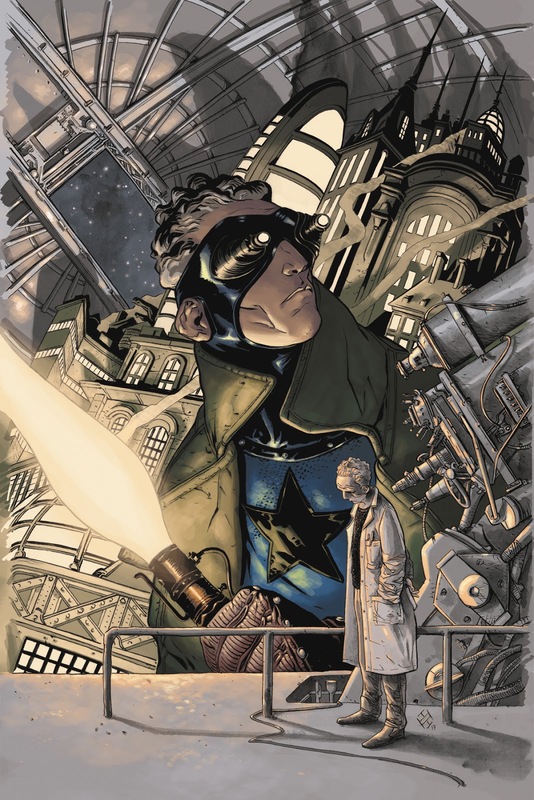 Lemire scripts, and the art is from Max Fiumara; it focuses of one of the Golden Age heroes of this universe, and his attempt to reconnect with his son. Suffice to say that this along with Gideon Falls is making me excited for March. Jo S: The words ‘Matthew Rosenberg’ now earn any new series an automatic spot on my pull-list but this one also gets a few further hooks into me. 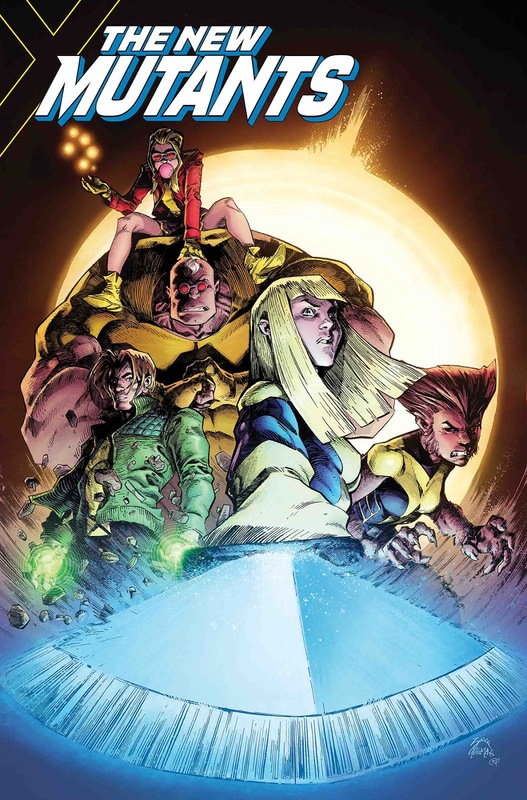 Picking up on the horror theme of the (now delayed until next year) New Mutants movie, this one involves a motley crew of heroes battling with the undead, each of the six issues promising to be a standalone story. The team of muties being banded together by founder member Karma are mostly smaller ‘names’ - Wolfsbane, Rictor, Boom Boom and Strong Guy are all new to me - though Magik, who completes the list, has been a regular in later issues of Secret Warriors. As I write, this week’s issue of the latter is the last of the 12, so I will be glad to see Rosenberg once again writing a team of rag-bag heroes on a mission. Rosenberg writes Magik as capable, effective and quite delightfully ruthless in Secret Warriors, and his comic timing when writing about the to-and-fro of dynamics in a diverse team of folks all required to work together is razor sharp - this is definitely in good hands. Kenny J: There was a time, some while ago now, when James O’Barr’s most famous creation was everywhere, mostly due to its mid-90s motion picture adaptation. Aside from the tragic circumstances that surrounded that production and the source comic on which it was based, the original The Crow story is a fantastic tale of love and revenge. Ensuing attempts to capture this focused on recreating the iconism of Eric Draven when really it was the eponymous crow that would have allowed for more interesting stories to be told. 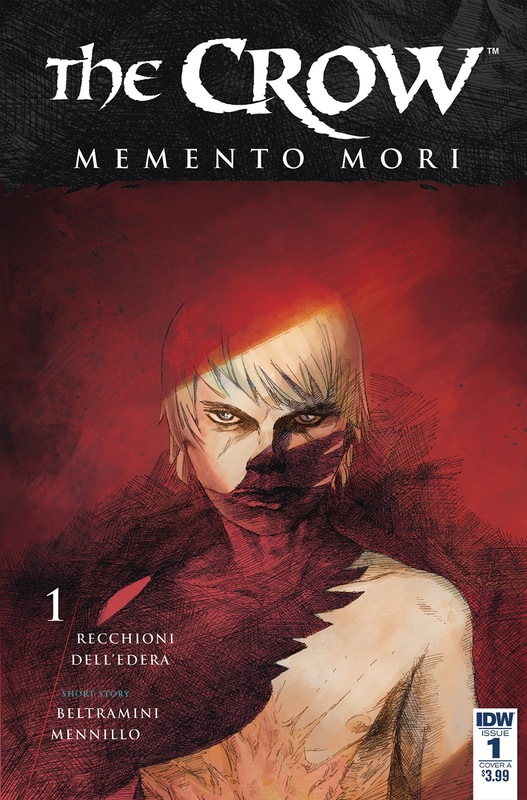 Finally, Micol Beltramini and Roberto Recchioni are transporting this franchise from the grungy streets of industrial America to the classical architecture of Rome, an idea I'm surprised hasn't really been explored before. Part of me is hoping that this will lead to more Crow stories set throughout space and time but for now I'm very happy to have our avian hero back. Matt C: Last time Jeff Lemire hooked up on with Andrea Sorentino they delivered a terrific run on Old Man Logan; Lemire’s ability to powerfully but subtly draw out emotional truths was perfectly complemented by Sorrentino’s evocative imagery and imaginative layouts. This tale of a conspiracy nut and a washed-up priest delving into the mystery of an otherworldly building that has appeared throughout the histories of a city and a small town has ‘One Of The Best Of 2018’ written all over it. 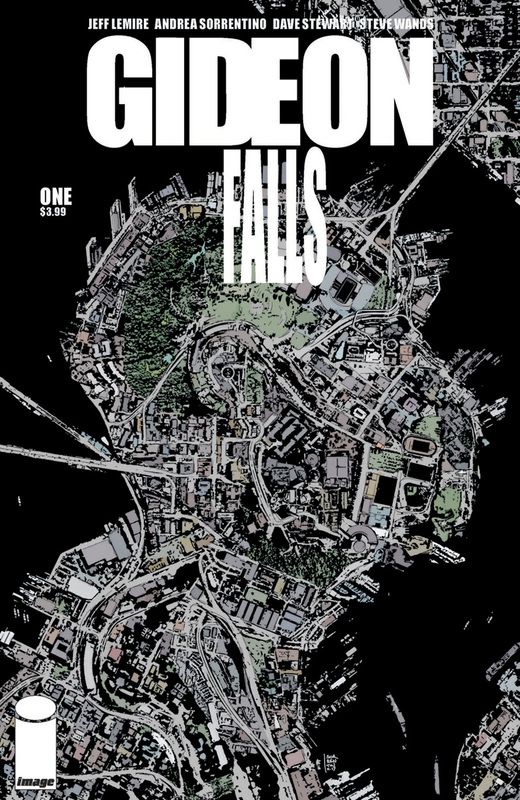 Lemire has been untouchable of late with a multitude of titles across various publishers, while Sorrentino wowed with some stunning work on Secret Empire – to use a well worn phrase I generally try to avoid (but feel is entirely apt in this case), Gideon Falls is one you do not want to miss! James R: This was one of those picks where my love for the era and setting reeled me in. 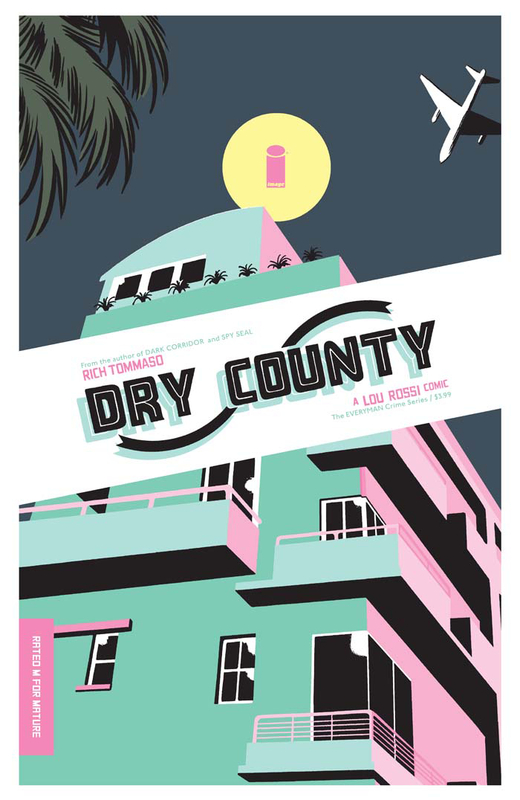 Rich Tommaso's Dry County is set in Miami in the neon 1980s - the era of Crockett & Tubbs in Miami Vice, and GTA: Vice City. Sold! But beyond the environs, Dry County looks to be a great read: a young Generation X-er turns amateur private detective to track down a woman he's fallen in love with. The book looks to be infused with Tommaso's own time in the city, and the art look lush - Dry County could be the first left-field surprise of 2018. Kenny J: There is something about the Top Cow Universe that really appeals to me. It might be the eternal struggle of powerful artifacts possessed by demonic and celestial forces. Or it might be the machinations of corporations against cybernetic freedom fighters that oppose them. 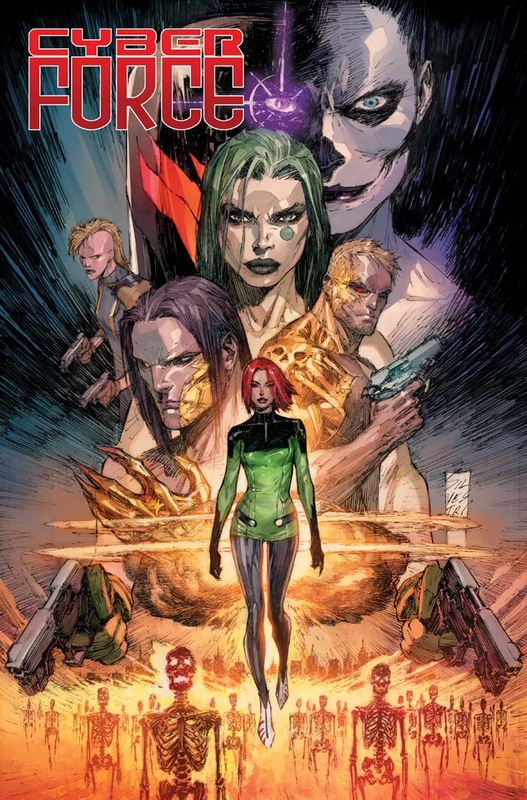 After several false starts, I'm excited to see that Cyber Force are back and under the stewardship of Matt Hawkins. Going on Hawkins’ previous work in books such as Think Tank and Cyber Force’s own Aphrodite IX, he has an ability to take bleeding edge tech and fringe science and fold them into to great narratives. A skill absolutely perfect for a group like Cyber Force.